Are you using your Google Calendar along with the calendar in EasyPractice? And do you experience that when you book an appointment in Google Calendar then the appointment isn’t transferred to the online booking tool and shown as a booked time slot? Worry no more! We have a solution. 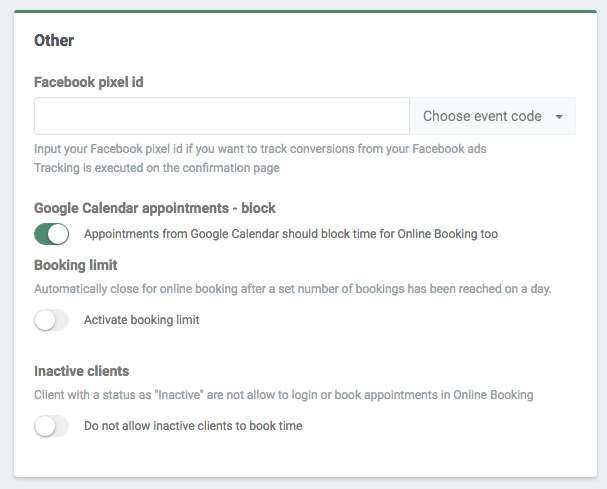 Go to “Settings” → “Online booking” and then scroll down to the bottom of the page to the box “Other” where you can activate that Google Calendar appointments will block time slots in the online booking tool. This way, you prevent that new appointments are made and double bookings occur.